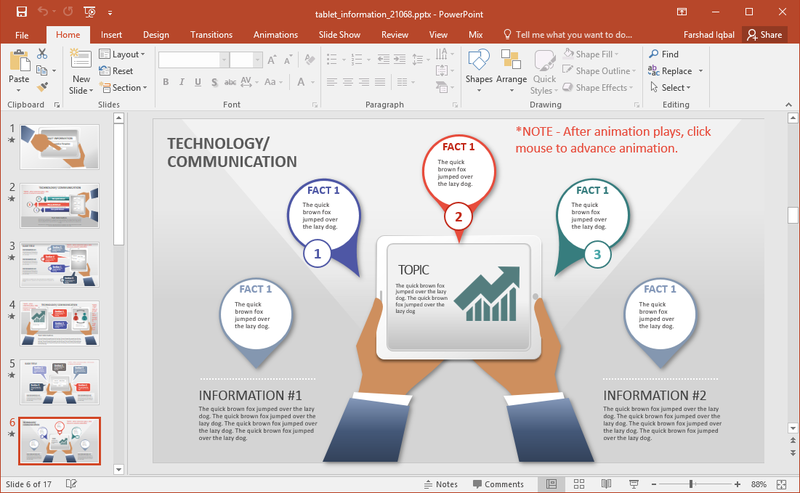 Animated Tablet Information PowerPoint Template is an infographic template with slide layouts suitable for presenting information, trends and ideas in the form of infographics. 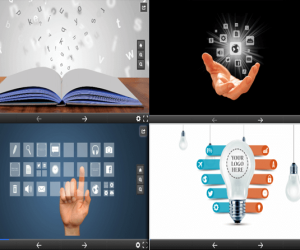 This animated template depicts tablets and communication related illustrations. 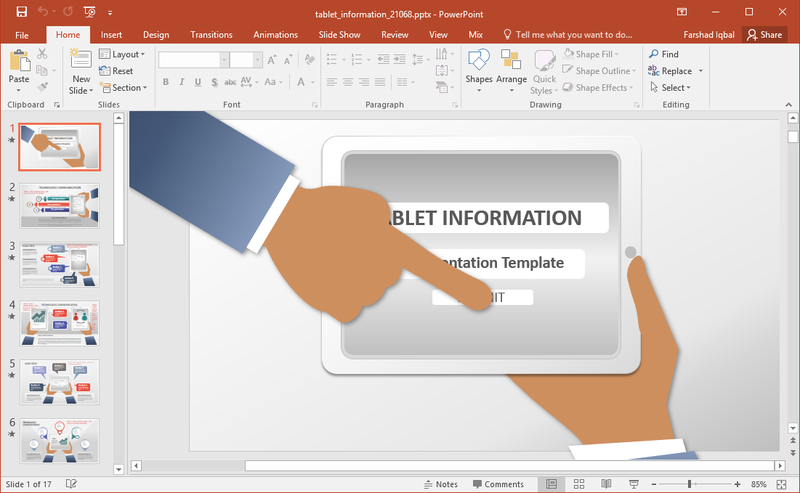 The animated template starts with the illustration of a tablet held in two hands. The sequence depicts a finger pushing a button on the tablet screen. This is an opening slide meant to kick-start the presentation. 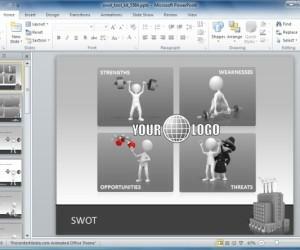 You can edit this animated slide with your own title and related information. The title slide is followed by more animated slides and different types of layouts to help you reveal your content in a more eye-catching manner. 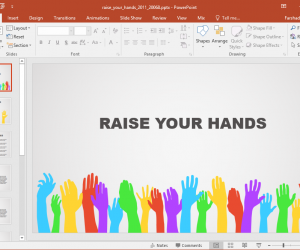 While you can use this slide deck for any type of presentation topic; the template is perhaps best suited for presentations related to technology and communication. 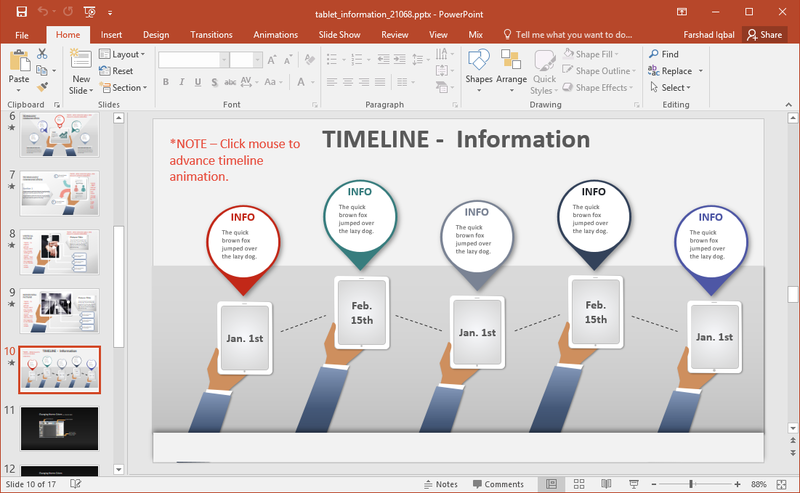 You can create animated timelines and roadmaps using the various sequential slide in this template. It can be a good way to reveal your timeline in a sequence that gradually loads upon mouse-click to make it easier for your audience to follow the sequence of events. 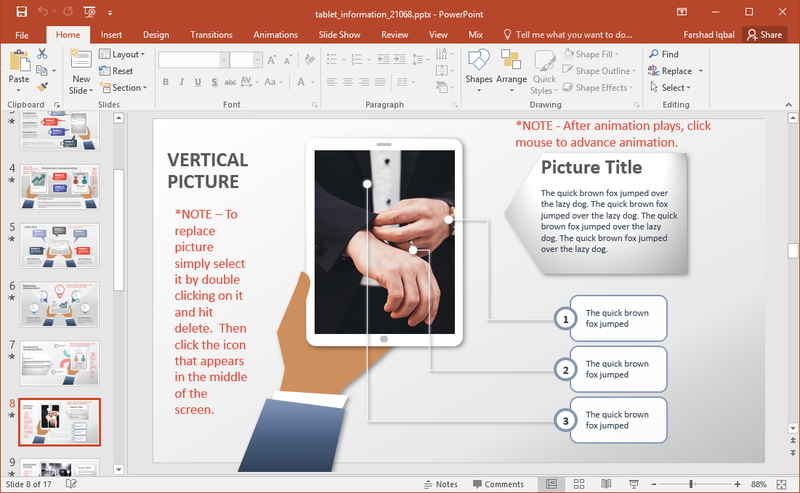 You can preview all animated slides in Slide Show mode and then start building upon the sample slides as you edit them one by one. 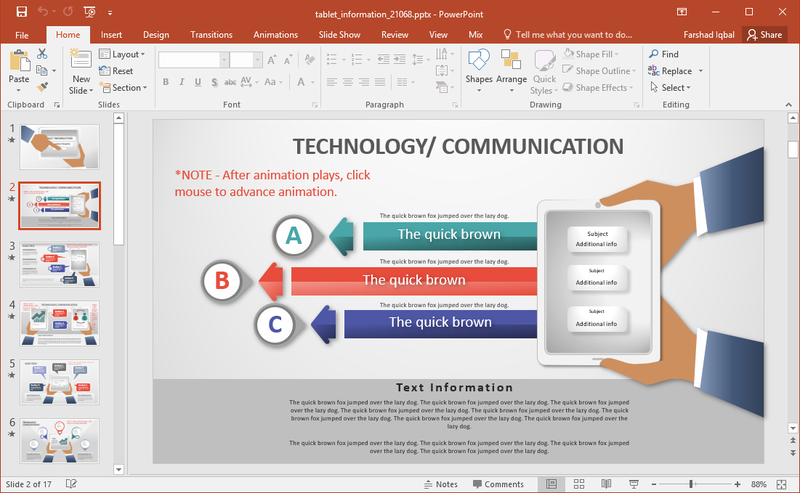 After editing your slides, you can preview the changes in Slide Show mode to see how the pre-defined animations gel with your added information. 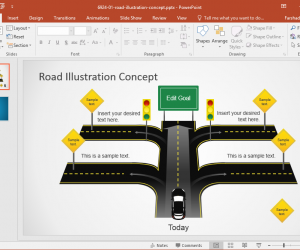 Since the slide elements are easily editable, you can edit the individual slide elements to recolor and resize them or to add or remove content to customize the sample layouts. 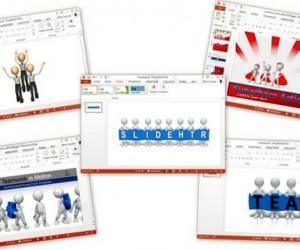 You can customize the sample slides as heavily as you want to. 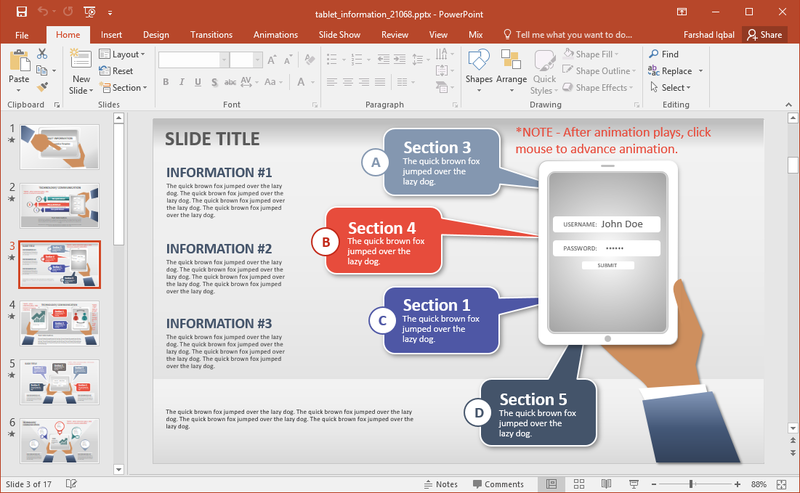 Alternatively, you can choose to simply add your text to the given content slides to make a presentation on the fly. 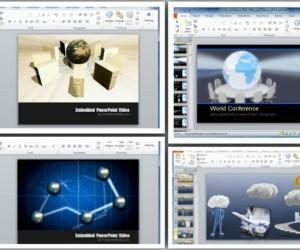 The template has versions available for PowerPoint for PC and Mac in both Standard and Widescreen formats.